Last weekend was the 49th Annual Frank Schneider Jr. Memorial Tournament, originally known as the Muskies Inc. International Tournament, which started in 1967. 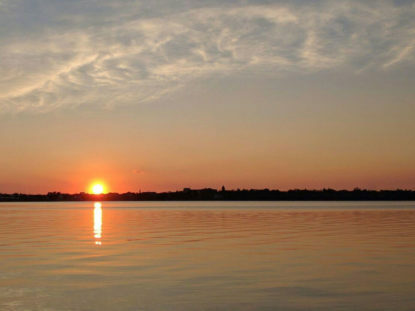 The tournament waters include 26 lakes throughout the Bemidji/Walker area and runs Friday-Sunday; 12 hours Friday, 12 hours Saturday, and 4 hours Sunday! 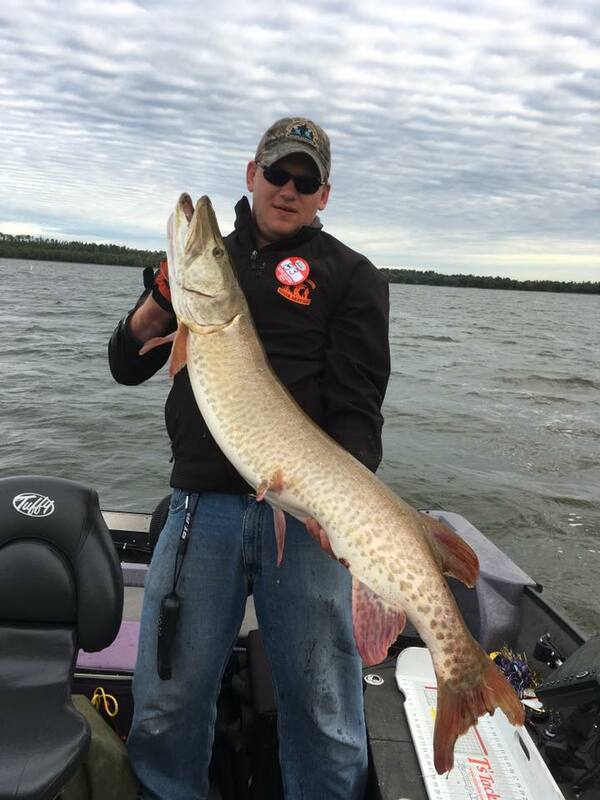 It’s hosted by the Twin Cities Chapter of Muskies Inc.
Contestants need to catch one Muskie 40” or bigger to get their name in the drawing for the Grand Prize of $15,000 cash. Based on a point system, the top 10 finishers and top 3 juniors receive a plaque, a rod & reel, and fishing line. Cash prizes are awarded to the top 3 in the women’s division. The top adult finisher receives a week stay at Red Wing Lodge on Sabaskong Bay, Lake of the Woods. Around 500-600 muskie anglers participate each year, and with the 50th Annual next year, I’m sure it could be an even bigger turnout! 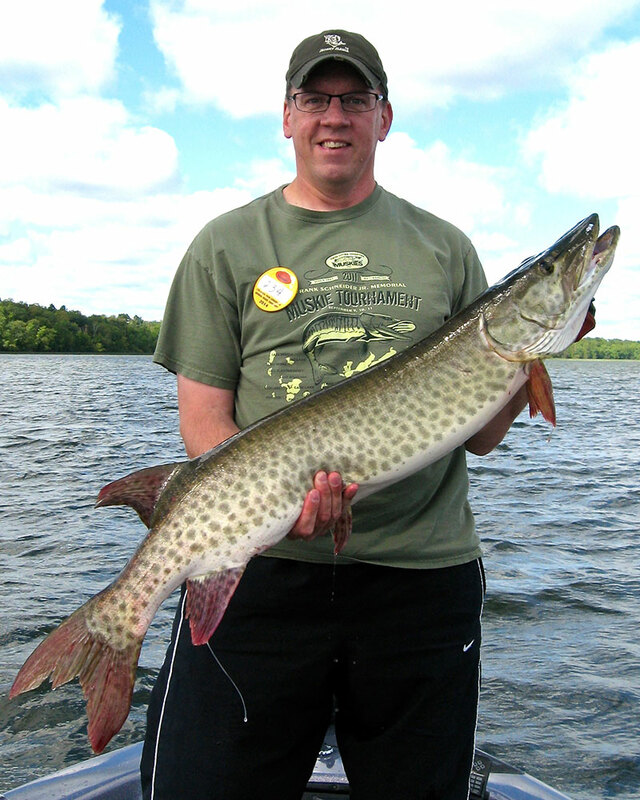 Proceeds from the tourney help to protect and promote muskie fishing in Minnesota. A $3,500 check is also given to the MN DNR. The local Bemidji/Cass Lake Chapter of Muskies Inc has an annual tournament in June. Around 75-100 anglers participate. At least $1,000 is donated each year to a BSU Aquatic Biology scholarship fund. A youth lifetime fishing license is also given as a door prize to one lucky junior angler who fishes the tournament. Money is also donated to the MN DNR for a variety of Muskie related projects. Muskie fishing requires patience and endurance. This past weekend, with less than 3 hours to go on the third day of the Frank Schneider tourney, local fisherman Brian Lesetmoe landed himself a 14th place finish by catching a 50.5” muskie with the help of his fishing partner and net-man, Rob Yuretich. 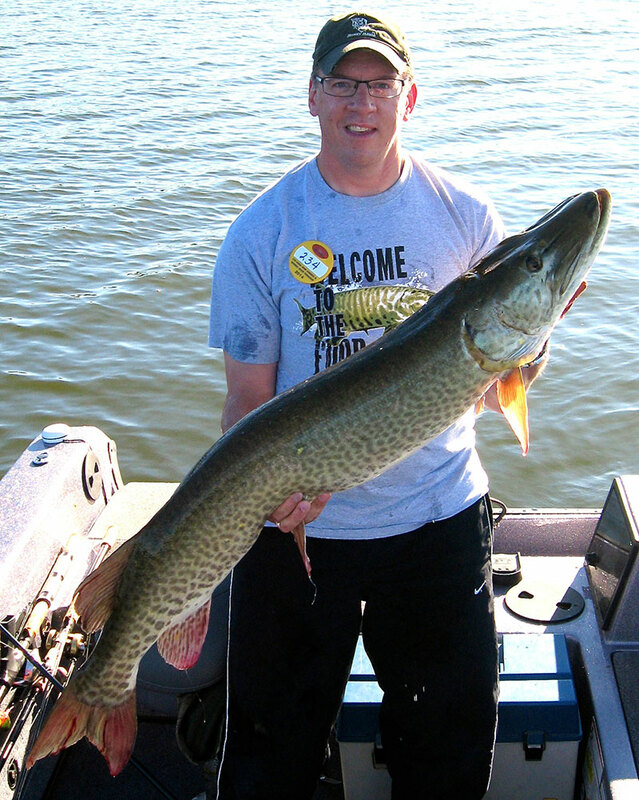 Rob, a diehard Muskie fisherman himself, took 4th place in 2014 by catching 41.5” and 50.25” muskies over the 3 days. 28 hours on the water in 3 days!